40W x 2 continuous power into 8 or 4 ohms. MM phono input for vinyl. Front panel input for portable media players. Bass and treble controls. Headphone output. IR remote control. Multi-way speaker binding posts. Gold plated RCA jacks. Toroidal power transformer. 50W x 2 continuous power into 8 or 4 ohms. 90W / 150W / 200W IHF dynamic power into 8 / 4 / 2 ohms. Integrated Bluetooth for music streaming. Built-in phono preamp. Stereo line, optical digital and coax digital inputs. Dedicated headphone amplifier. Subwoofer output. 50W x 2 continuous power into 8 or 4 ohms. 90W / 150W / 200W IHF dynamic power into 8 / 4 / 2 ohms. Chromecast built-in. Bluetooth for music streaming. Phono preamp. Stereo line, optical digital and coax digital inputs. NAD remote app support for tablet and smartphone. 80W x 2 continuous power into 8 or 4 ohms. MM phono input. Analogue line inputs. SPDIF coax and optical inputs. Headphone amplifier. MDC slots for future upgrades. Smartphone control app. Control4, Crestron, RTI, URC, AMX, Savant and Elan certified. 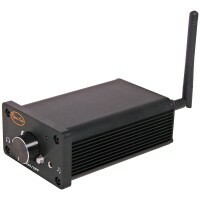 150W x 2 continuous power into 8 or 4 ohms. Bluetooth A2DP with aptX. MM phono input. Analogue line inputs. SPDIF coax and optical inputs. Speaker A, Speaker B. Preamp and subwoofer out. Headphone amplifier. MDC slots for future upgrades. Smartphone control app. The N22 Desktop Amplifier is a compact integrated stereo power amplifier and a high-quality headphone amp. Class A/B stereo power amp. High-performance headphone amp. Dual analogue audio inputs. Stereo mini-jack input. Subwoofer output. Use the PRO1351 to power in ceiling speakers with audio from any Bluetooth enabled device, or other source devices such as computers, DVD players, and TVs! Perfect for permanent audio installations in entertainment areas, and even bedrooms. This exceptional unit provides a compact amplification solution with a range of features. This includes manual or remote volume control, power indicators, 3 path remote control, mute function, volume level indicator and more. Accetps 24 to 12 AWG speaker cable. A compact, sturdy 2 x 50W RMS class D stereo amplifier with 3.5mm input on the front and RCA input on the back for easy connectivity. Features Bluetooth for audio streaming from your phone, tablet or laptop. It offers class AB performance from an efficient class D design.